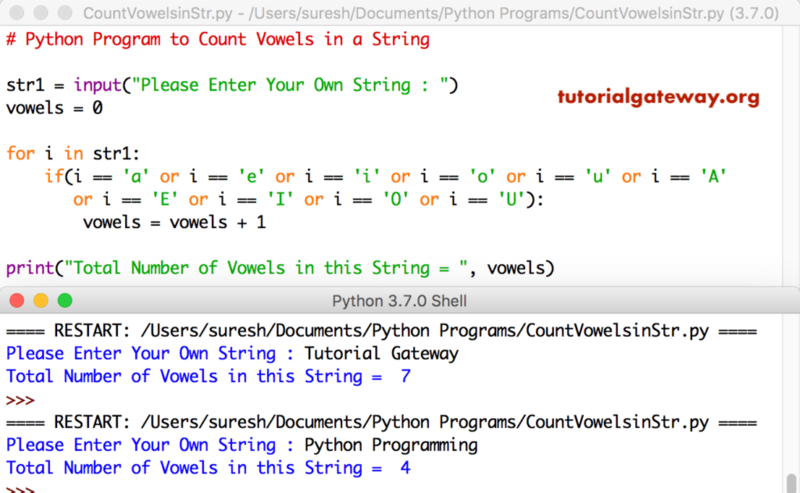 In this article, we will show you, How to write a Python program to Count Vowels in a String using For Loop, and ASCII values with practical example. This python program allows the user to enter a string. Next, it will count total number of vowels in this string using For Loop. In this program we are using lower function to cover the string to Lowercase. By this, you can only use a,e,i,o,u inside the If statement (avoid uppercase letters). This program uses ASCII values to find vowels. I suggest you to refer ASCII table article to understand ASCII values.